22nd & Philly: South Street West: So Tasty, So Crepe! South Street West: So Tasty, So Crepe! South Street West's restaurant row continued to expand during 2013 with the openings of spots like Miles Table, So Crepe and, most recently, Entree. We haven't seen or heard much about Entree yet - have you?? This blog post gives a little history about the chef's Ardmore roots and sourcing of ingredients from Italian Market vendors. I've become a fan of So Crepe for Sunday brunch with girlfriends. 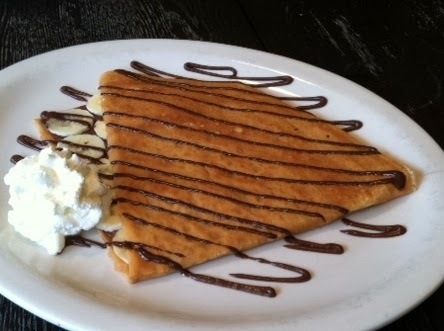 It has a short menu of sweet and savory crepes, plus 4-5 daily specials. The crepes are plenty big enough for a meal; I'd recommend getting one savory each and then splitting a sweet for the table. Both times I went with a party of three we did this and it was plenty of food. Also, with a few coffees or juices added in the bill was only around $35 total, so it's very affordable. 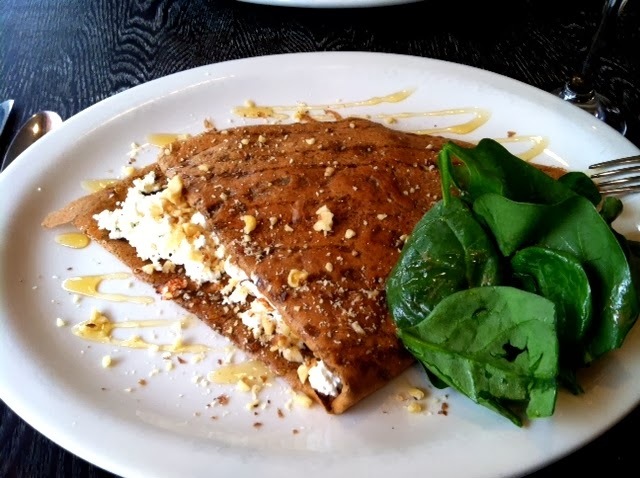 My favorite crepe so far has been the "So Chevre" with goat cheese, honey and walnuts (below). The crepe was nice and light, stuffed with plenty of cheese and just enough nuts. I couldn't finish it all and it tasted great heated up in the oven for dinner the next day. Other savory options include brunch-ish ingredients like ham, eggs and cheese, as well as shrimp, chicken, salmon, veggies and even hot dogs. Last visit, I tried a special crepe with leeks, swiss and bacon, which was less photogenic but also hit the spot. On the sweet side, you can't go wrong with the "So Simple" mix of sugar, butter and lemon, right off the streets of Paris. The "So Chocolate" (below) is always an excellent option, too, with your choice of fruit inside plus whipped cream and chocolate drizzle on top. Especially when you can replace the chocolate with Nutella! Other sweet crepes have caramel, apple, and even peanut butter and jelly. 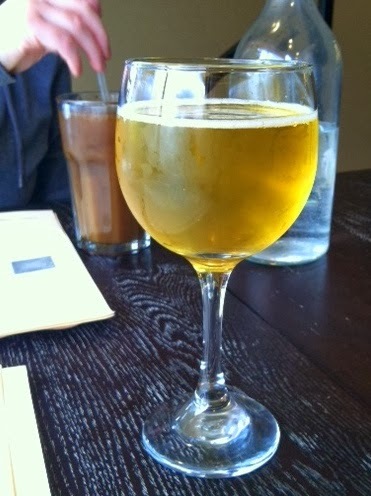 So Crepe is also a BYOB, in case you're inclined to go for dinner and bring wine - or you roll like the party of six adults we saw enjoying a lovely bottle of red over brunch. Otherwise, So Crepe has all the coffee and tea you'd expect, plus a fun glass of sparkling apple cider for something different. One of my latest companions had an excellent idea: So Crepe should open a sidewalk window where people can purchase fresh crepes to go, just like in Paris. How great would it be to snag a crepe on South Street and wander up to Rittenhouse Square on a beautiful spring day! ?